The Ultra Low Emission Zone (ULEZ) came into force on 8 April 2019 and is likely to have a huge impact on drivers in London. The ULEZ has been launched to help improve air quality in the capital by reducing the number of polluting cars driving in the zone. Operating in the same area of central London as the Congestion Charge Zone, the ULEZ will operate 24 hours a day, every day of the year. Vehicles that don’t meet the ULEZ emissions standards will have to pay a daily charge to drive within the zone, on top of the congestion charge. Non-payment will result in a fine of £160. Obviously, this is bound to have an impact on businesses and the cost of operating in and around London. 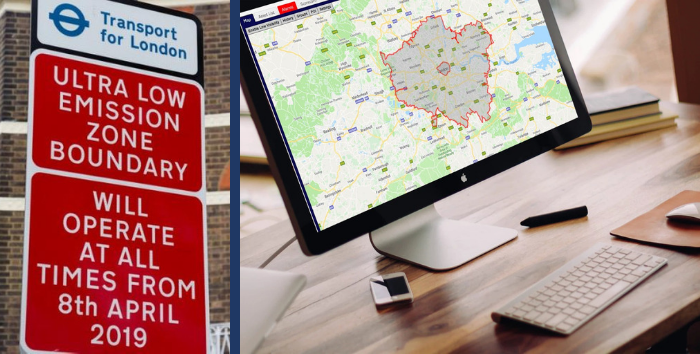 While the changes are likely to encourage businesses to consider upgrading their fleet in the long-term, right now they’ll be keen to monitor journeys in and around to ULEZ and only venturing into the zone if absolutely necessary. Thanks to the geofencing feature available on the Simplytrak system, our customers have the ability to zone useful areas on their map and then set up reports and alerts to inform drivers when they breach a geofenced area. With this feature, fleet managers are able to run a report at the end of each day to show which vehicles have been in the ULEZ and therefore arrange to pay the total daily charges for your fleet. To make it even easier for our customers, we’ve already created geofences for the ULEZ and the wider Low Emission Zone (LEZ). To apply this to your portal, please email enquiries@simplytrak.com or contact our customer support team on 01430 879197.